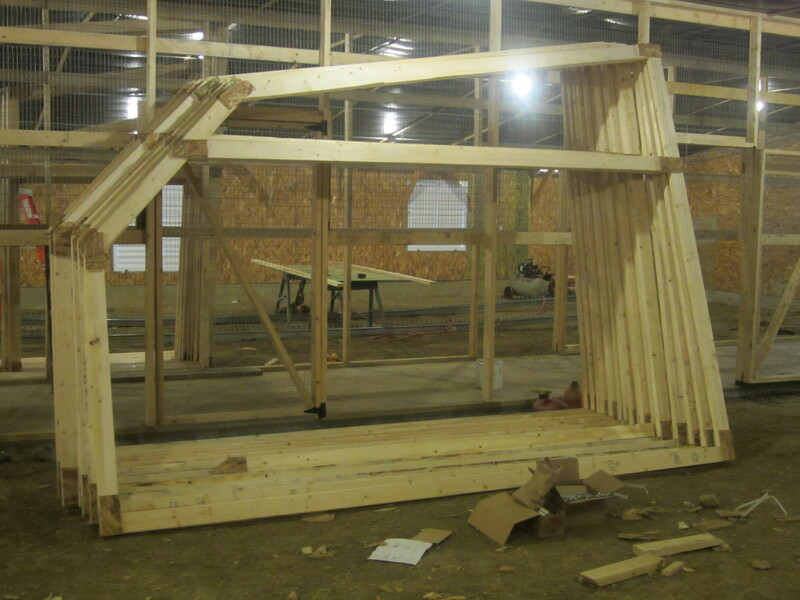 It was time to divide and conquer the new breeder house…literally! Each breed requires its own pen to be sure like varieties are mating only with one another. This house holds 27 breeds, so, we would need enough pens to keep them separate. 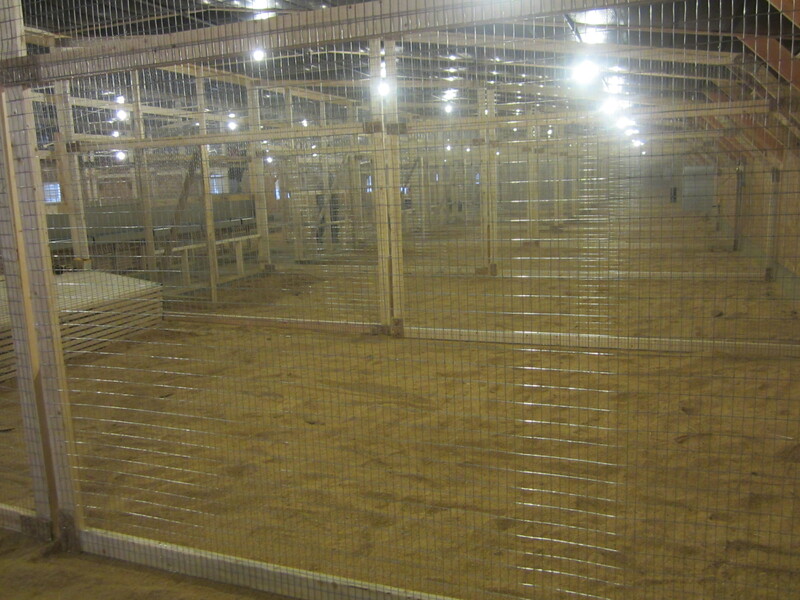 Down one side, we planned for large pens for our larger flocks, like Easter Eggers, Dominiques, and White Rocks. 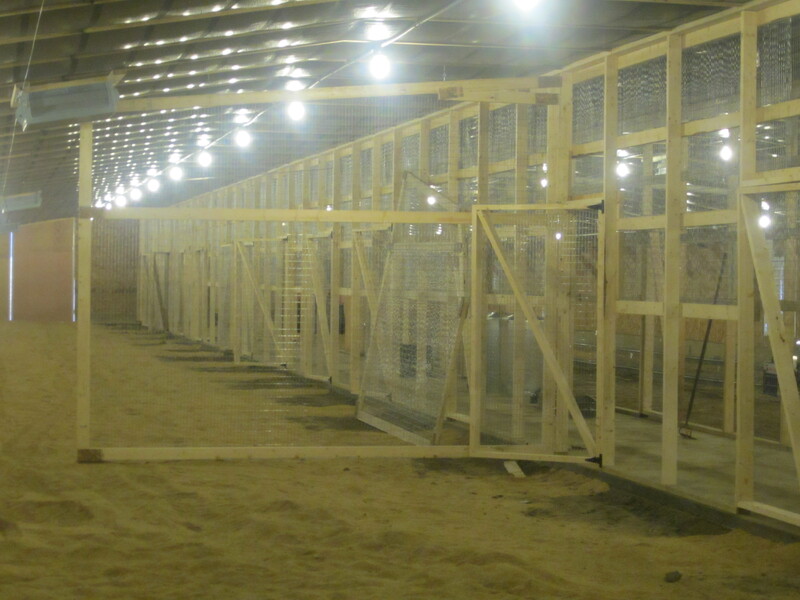 Lining the opposite side, are the smaller pens for the smaller flocks like Blue Splash Marans, Silver Gray Dorkings, and White Sultans. But, first things, first. We had to install the automatic feeder system we spoke of in our last post about the breeder house. It runs the length of the of the building and loops around, but just on the “large pen” side. We’ll manually feed the smaller flocks on the opposite side. 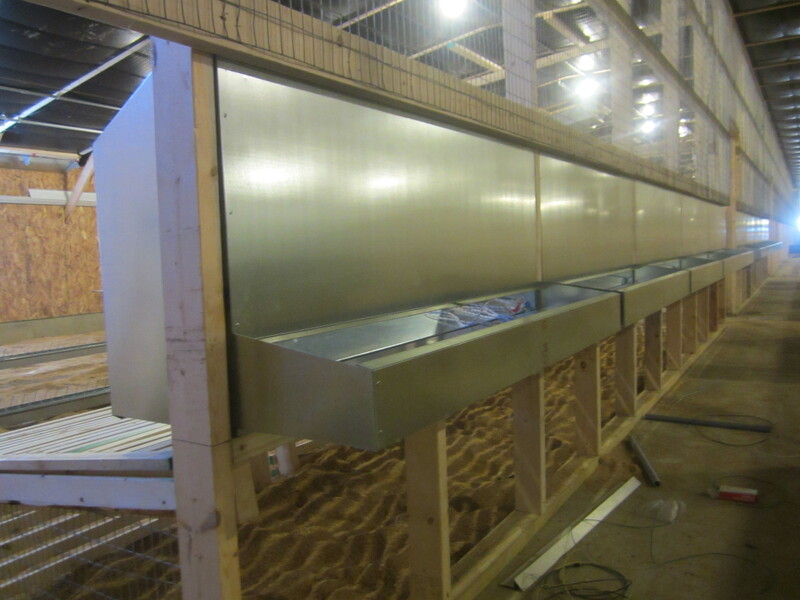 Setting up the looooong feeder before the pen walls made it a breeze to install. How it works: A large bin, with a 12 ton capacity for feed, fills the loop. Think of it like a conveyor belt that moves the feed around the loop. It’s all automated. Feedings happen at the same times every day. This state of the art system will even tell us how much each flock consumes in a day! Another amazing feature is the pulley system that allows us to raise and lower the height of the feeder as the birds grow. Now, back to the pens. To make things easier, we pre-built the dividing pen walls outside of the building. From there, it was much like an assembly line, securing divider after divider after divider. Here’s the first one up! Do you recall the dozens of custom-made nest boxes Karen put together? Well, it was time for those to go in too, along with the roosts. The eggs roll out of the back of the nest boxes so we can collect the eggs from the center aisle. It also prohibits our hens from becoming egg eaters since they are not able to get to the egg once it’s rolled away. That means more chicks for you! Afterall, these are fertile hatching eggs, not table eggs. 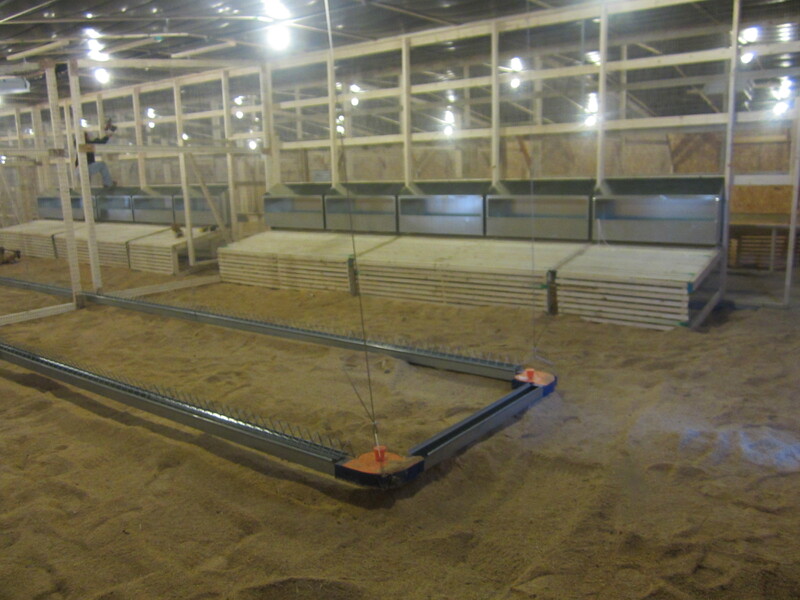 All of the pens are complete, with dividing walls, feeder system, watering system, roosts, next boxes, bedding, light, vents, and more! A few more finishing touches, then it’s move in day! Be sure to follow us so you’ll be the first to see our post covering the day’s events. I’m impressed! That is quite and endeavor!